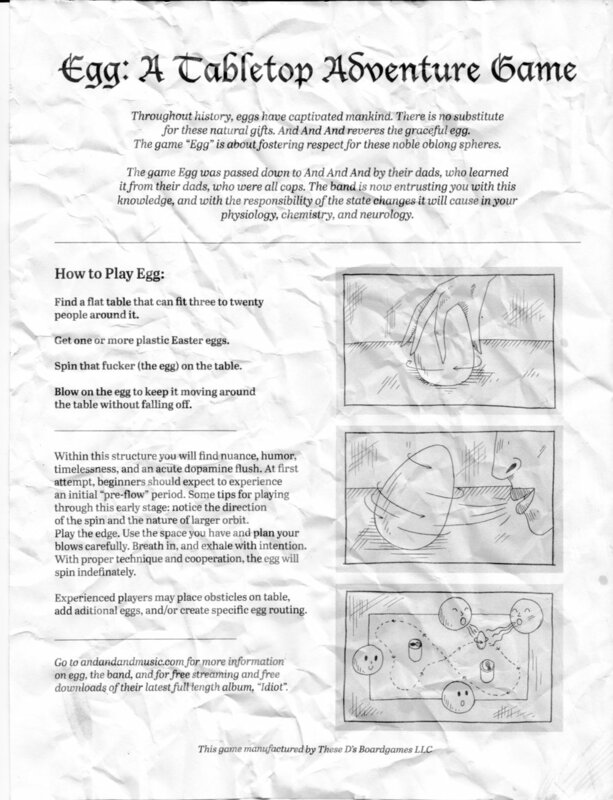 Egg: A Tabletop Adventure Game. for these natural gifts. And And And reveres the graceful egg. it from their dads, who were all cops. The band is now entrusting you with this knowledge, and with the responsibility of the state changes it will cause in your physiology, chemistry, and neurology. Get one or more plastic Easter eggs. Spin that fucker (the egg) on the table. the table without falling off. of the spin and the nature of larger orbit. add additional eggs, and/or create specific egg routing.